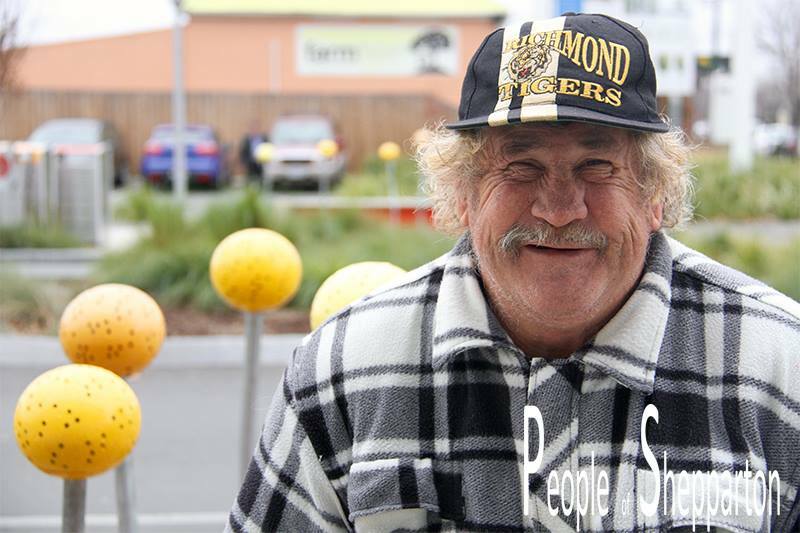 Look for the People of Shepparton branded photos and people's comments/responses on the Show Me Shepparton Facebook Page. 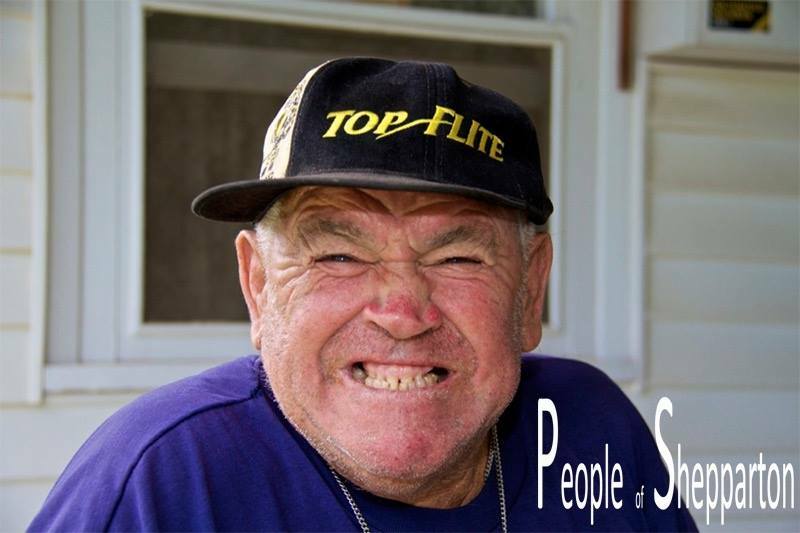 This photo project was inspired by the Human's of New York Facebook page - photos of people and their stories. I plan a time to go and take photos and wander up to strangers who catch my eye and who I think may have an interesting story to tell. ​It can be a bit scary as I don't know what sort of response I might get and have to respect those people who don't want their photo taken or want to disclose any private information about their life. Fortunately most people are willing to be photographed and keen to share. ​I hope you find them interesting like I do. I have good memories growing up in Albania, with my friends, school, playing soccer and skiing. Back then it was a communist country. It was pretty much love. Everyone was the same. When democracy came people destroyed everything. Before I left my job was restoring old paintings in churches. I have been living here for 5 years. The people here are lovely. You have peace here, not like in Albania where it is very stressful. I currently work in a nursing home as a diversional therapist. I love my job. I get on good with the oldies. You need to have a caring nature. I play board games with them, cards and go on outings. We do this to trigger their memories, good memories. 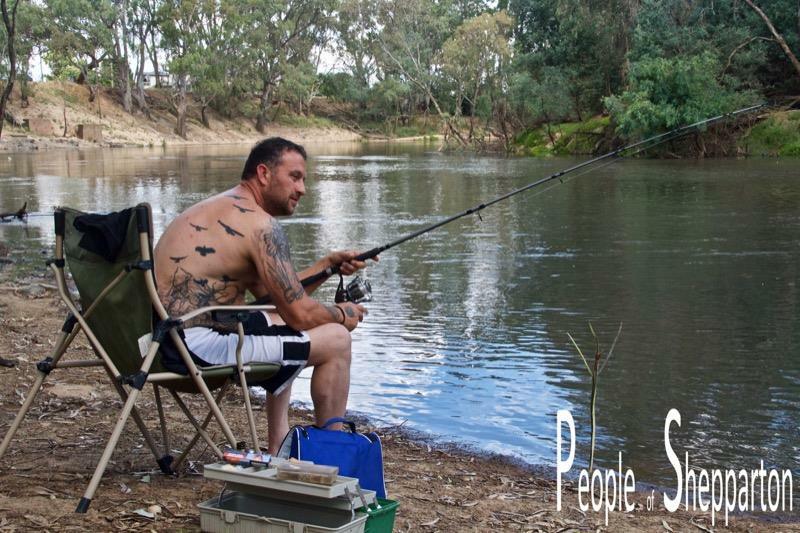 We also take them fishing, which is relaxing. It is something different. When I first arrived in Australia, I said this is paradise. It is fair here. You work. You live. And people are happy. It is the best country in the world. Iam still a novice being an interviewer. Remember as you read this it takes some courage for a person to share their story for all to read. This is the first full length story I have done. 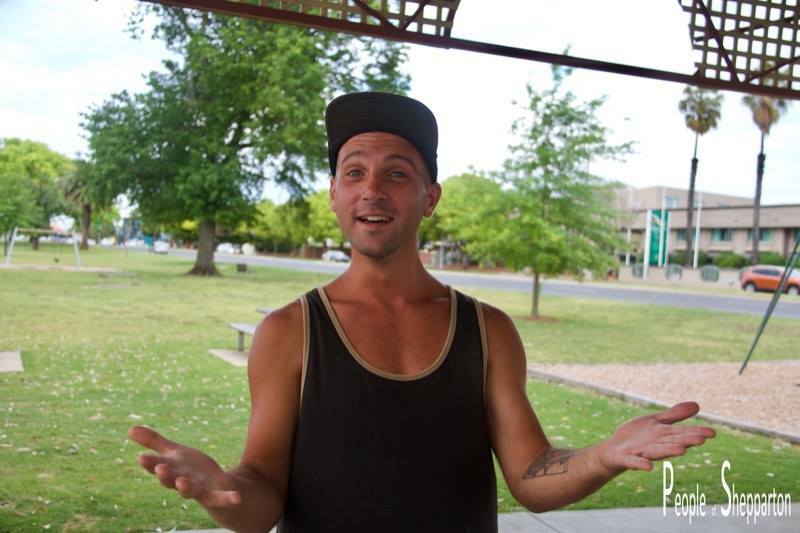 ​"I was born in Shepparton and grew up on a dairy farm in Invergordon. There were seven kids (five sisters). I have ridden horses most of my life, really. I went to Invergordon PS and then to Shepp High for a year or so and then to Numurkah High School up to Year 11. 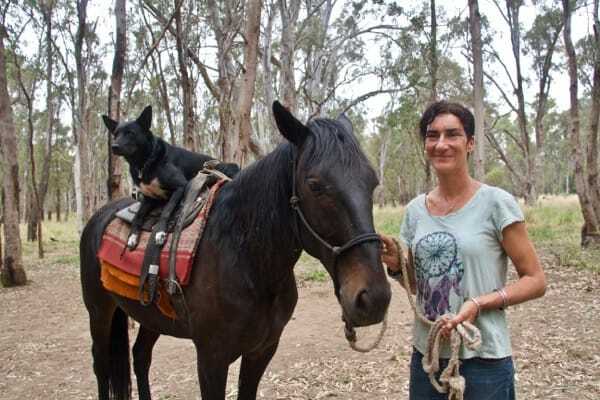 I left to ride showjumpers and was a strapper around the area for a few years. I worked at Kraft as a forklift driver for a while. It was something different and good money. I got married and had my daughter when I was 21. From then on I was on a dairy farm for about 10 years and also breaking horses. I was involved with the Bunbartha Pony Club as an instructor in dressage. Then I went and rode racehorses (trackwork) at Warwick Farm Racecourse in Sydney. It was really different. This lifestyle started when I began to travel. I left here and went to Tocumwal and then Nagambie. It took 6 to 8 months. Swapping horses over. It just rolled into this. I settled here and just got to know a few people. I got cut off Centrelink because I missed appointments. Now I live off getting supermarket trolleys. I've learnt little things to survive. St Vinnies are good. I go to the Life Op Shop everyday to get food. They are wonderful there. There is a Take Away Shop in town who gives me their takeaways now and then. ​As people have got to know me and what I am doing they have started to help me with feeding my dog. It costs very little to live, in truth. I look at our youth, and that has made me stop here as I've got to know the kids. They look at me and the way I live and you can see that this is what they would like to do. They want a pony. It is do-able. On government land. Our kids are roaming the streets. In little gangs. I think... give them a pony. I have been here for about 2 years. I've moved sites a few times. The Council has been good for 12 months. I move from spot to spot. A few people have got to know me. A lot of people are fascinated by the way I live. I want to bring the "lighthorseman" back. That's my aim. I rode a racehorse in Sydney called Lighthorseman. I've seen so many kids off the rails, you know what I mean. They could come here. Learn to light a fire. Bring back the things they learnt in the defence force. The youth on the streets are getting recruited by the wrong blokes. They could learn to work as a team. I had trouble with the Council a few years ago and Colin from Horses for Hope helped me out a bit. When the floods came, someone who worked with him helped me out. They are good people. It has surprised me how blase some people are though, especially when I had a bloke who haunted me and bothered me for a while. I'm single and on my own, their attitude sort of changes a bit, like I should expect it. I'm in the public eye. He's used fear. It's hard to get it across to people without it sounding weird. The police aren't really a lot of help. I'm not knocking them, but it's a fact if you know what I mean? The boys on the street know how far they can push us. There are some really nasty people out there. That's what gets me. Having a few horses around helps to keep me safe. People are either intimidated by them or they love them. They do keep me safe. I have had these 2 horses for about 5-6 years. My dog, Mercedes is about 4 years old. I have had her since she was a puppy. My sister gave her to me. She is a beautiful dog. She is crazy in her own right and mad. She chases cars. She is a legend. 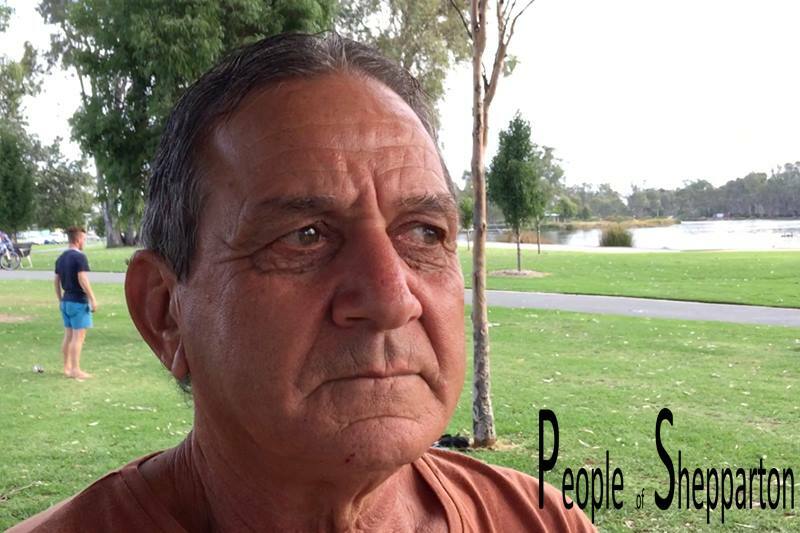 When I go to Mooroopna many people stare at me and the kids in cars press their faces against the window. I love the look on kids faces. The kids are like, Wow! They like the horses. It's like they are out of reach for them. But it is within their grasp. If they think the right way they can do this. Buy a pony. Nowdays many people talk to me and ask where I am walking to today. It makes me smile. I give a lot of rides to kids. I lead them around. I have always loved horses and animals. We always had horses. With there being so many of us on the dairy farm. We had a lot more freedom than most kids today. We had so much fun as kids then. We all had ponies when we were growing up. We sort of take it for granted now. The kids these days know what they are missing, but in a way they don't. It's not out of reach for communities to now do it for kids. It amazes me how many people will walk up and give me things. One person today pulled up in their car and gave me $20. The said they have noticed me a few times. It's beautiful that they would do that. 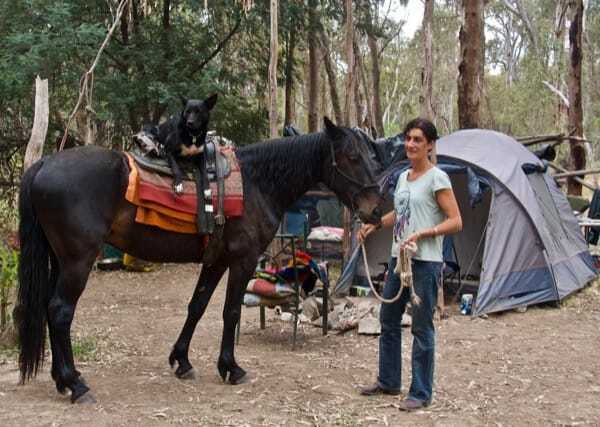 When I first started living outside of Mooroopna I was just sleeping in a swag with little else. Over time people have given me all this." 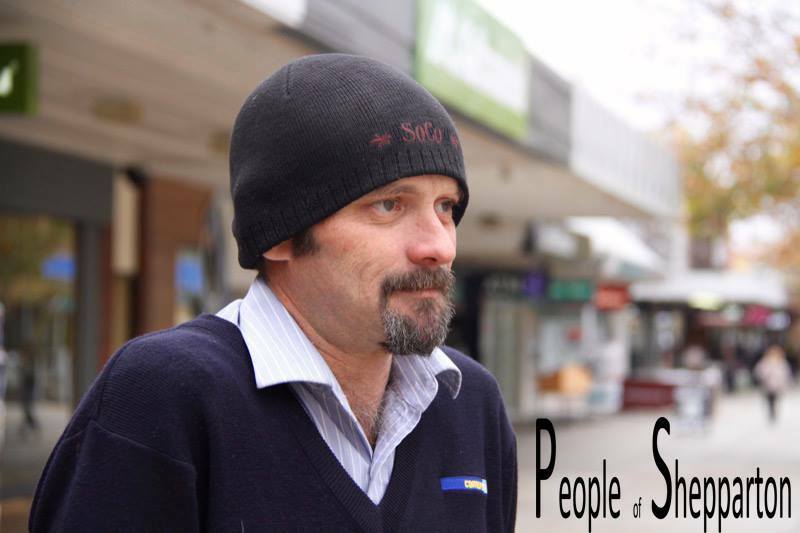 ​Please share your comments on the Show Me Shepparton Facebook page - take care with your comments, remember to show some respect. Elana (to catch up with family) and some of her family/friends use Facebook too. (To get this story I took an audio recording of Elana's answers to a number of questions and the text here is much of what she said and how she said it. 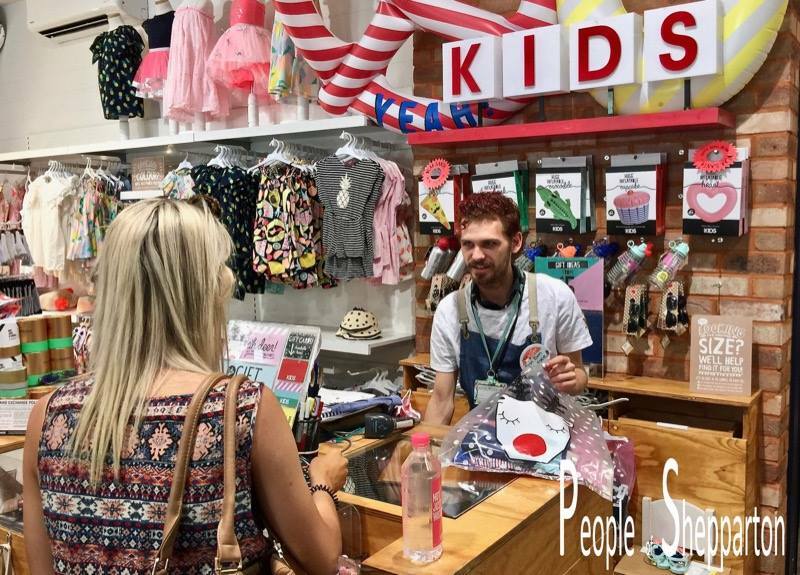 "I started here because of someone I knew at Typo and they had heard that Cotton On Kids were looking for someone part-time. They mentioned it to me because they were wanting a guy in particular, and had been looking for some time. This was unusual because you don't see it very often. They wanted someone who could bring the male perspective. We have a surprising number of fathers/uncles come shopping here for their daughters/nieces. I have been here for about 18 months and I love everything about this shop and the work. I love kids of course and I think I got the job for this reason. "This morning I was researching about the "Pine Lodge Bungle", which was a weir that was built in 1883 and was washed away a day or so after it was constructed. It was built in that location on the advice of Melbourne engineers even though the locals said it was in the wrong spot. 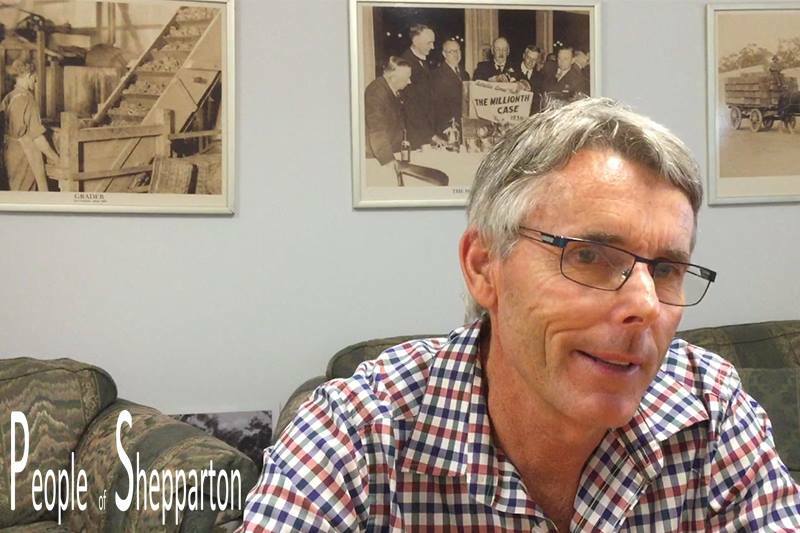 They would not budge with the decision and it nearly bankrupt the Shepparton Shire. After many court cases it was finally built at Gowangardie in 1897, which was the site the locals suggested in the first place." 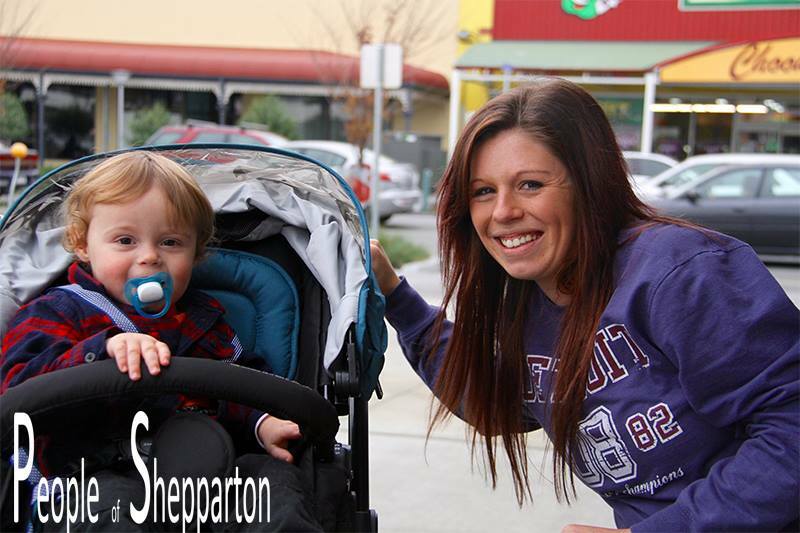 Tara: "I was born and bred in Shepparton. 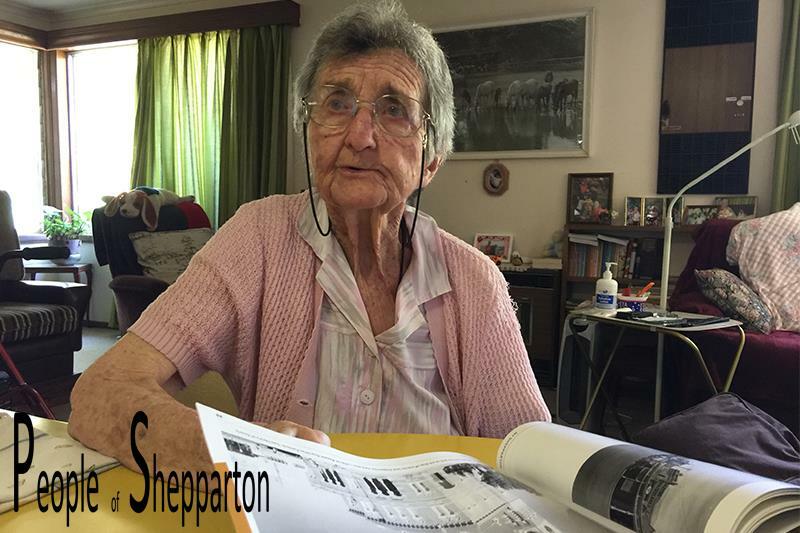 I hate it when people criticise Shepp as we have a lot of good attributes to be proud of. People are very quick to judge. One of our great features is our Lake which is a huge drawcard. When I drive past I notice all the different families and cultures and what a wonderful meeting place it is. We also have a lot of good businesses too and shopping local is so important. "I was recently married to a lady my parents found for me back in India. I met her once, a month before we were married there. You would call it an arranged marriage. It hasn’t been a problem for me because in our culture we trust the decisions our parents make for us." 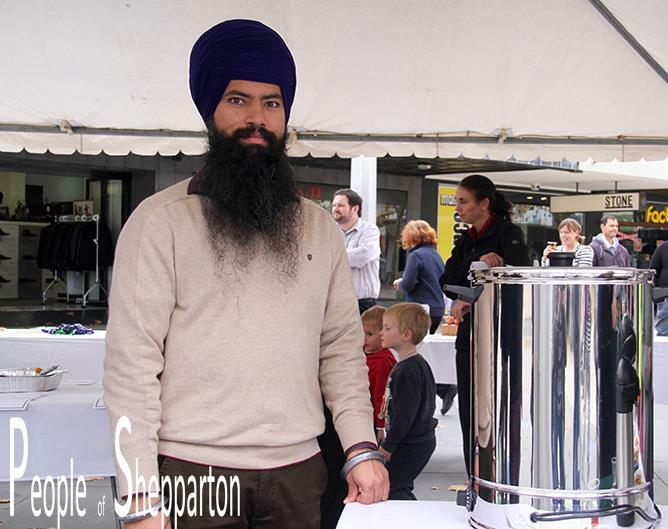 "I grew up in New York and have been in Shepparton for 5 years. I have found Australians to be so very welcoming and kind. I struggled with the Aussie humour for a while, or it could just be me. The other amazing thing being here is that I have not had to honk my horn in 5 years, whereas I would do it daily in New York." "I was in hospital after being hit by a truck. I was in traction and could not turn over for 9 months. What helped me the most during my recovery were the many people coming to visit me. After the 242nd visit my wife finally took me home. The nurses were like angels to me. They are very special people who care so much and show it in so many different ways." 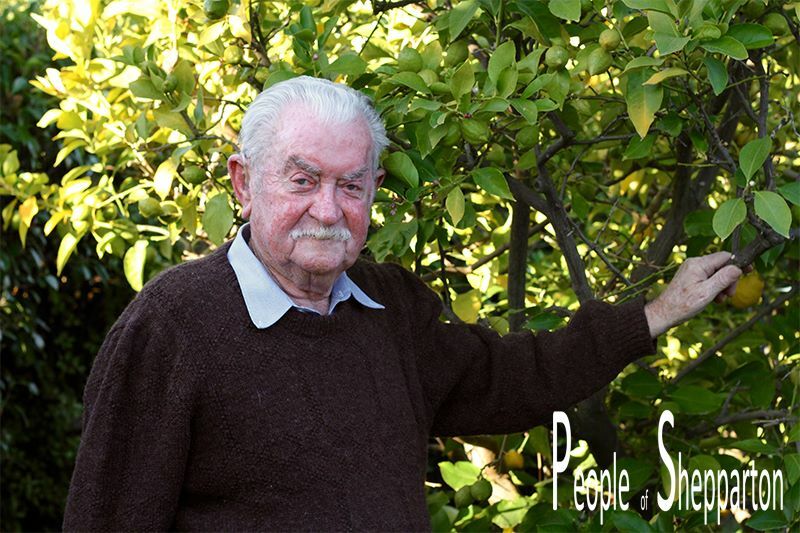 "I was born in Shepparton in 1926, and I often think of my mother going into hospital to have me. They did not have any motor cars and she didn’t like horses because she was frightened of them. So how she got there I don’t know, but anyway they had me. And I am still here." "I loved Skatewave because I could do speed-skating and go like crazy. It was a great form of exercise." "I have followed the Richmond Tigers all my life because they are a good team and have good players like Jack Riewoldt." I was a farmer but over the years the farmers have been pushed off the land and now half of them have left the area." 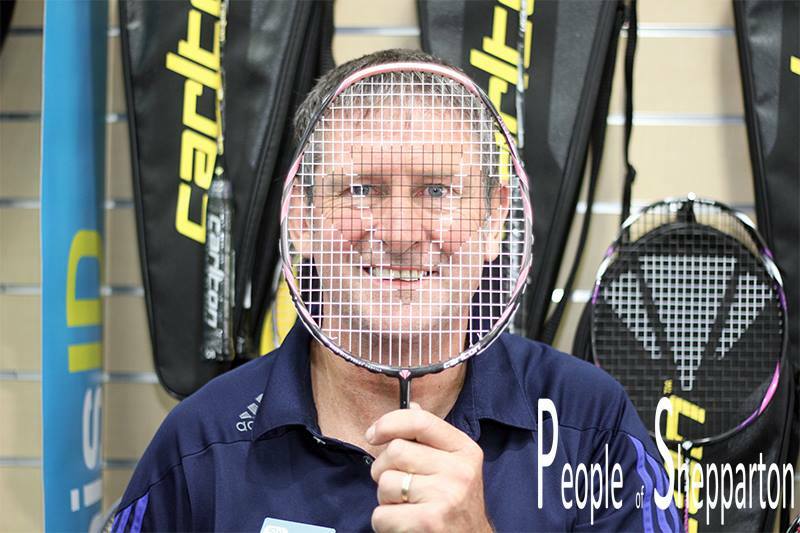 "I like Shepparton and all the sporting opportunities we have here. Action photography is what I really enjoy. 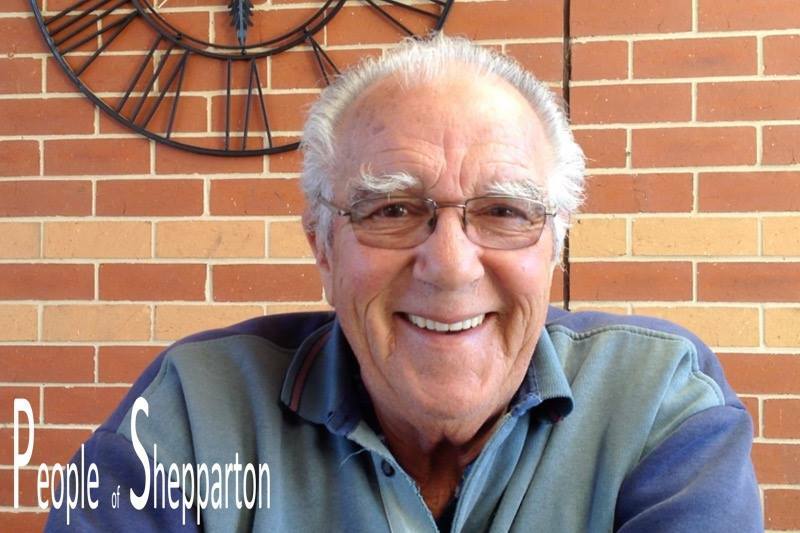 Shepparton has been my home for over 40 years." I lived at the Shepp. Hotel for a while and I used to drink a lot in the bar. The $5 Crazy Meals were good value. Whatever was on the bistro you could pile as much as you liked on the plate. I am very disappointed to see it the way it is now. There are a lot of memories there, good and bad. Tom Avram was a friendly bloke and when I couldn't find anywhere to live he gave me the opportunity to live upstairs. I was very surprised to find so many open-minded people here in Shepparton because in Italy the towns this size are very closed to foreigners, people who aren't local. I really appreciate the way you live. I have been here for about a month and I am amazed how friendly and happy people are to see ones from other countries. I am working on an apricot orchard thinning fruit. I hope to be here for about a year. I love this country. "I am colour blind and short-sighted. It does present some challenges in my work as I am a graphic designer and I use colours a lot." 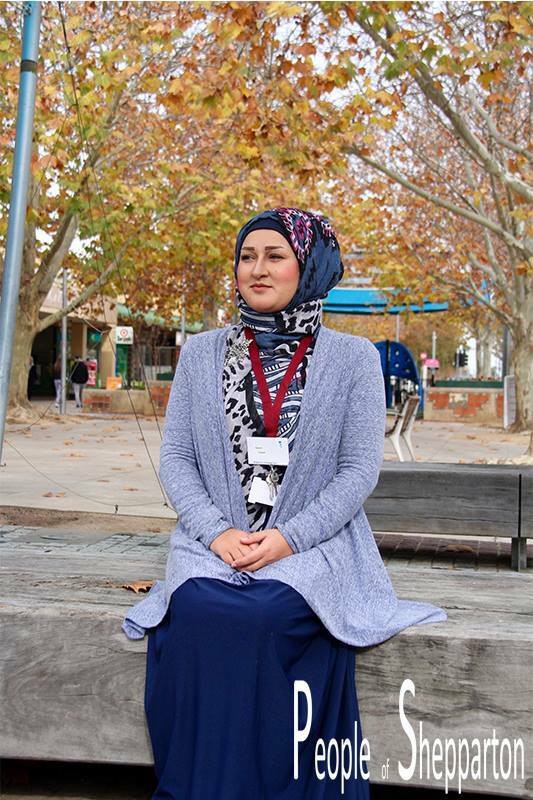 "My family came here from a small village in Afghanistan 10 years ago for a better life. Back home it was very unsafe and when the Taliban came we lost our freedom and we had to keep moving from village to village. I love it here now as the people are so very friendly and we are able to keep our culture and our religion. 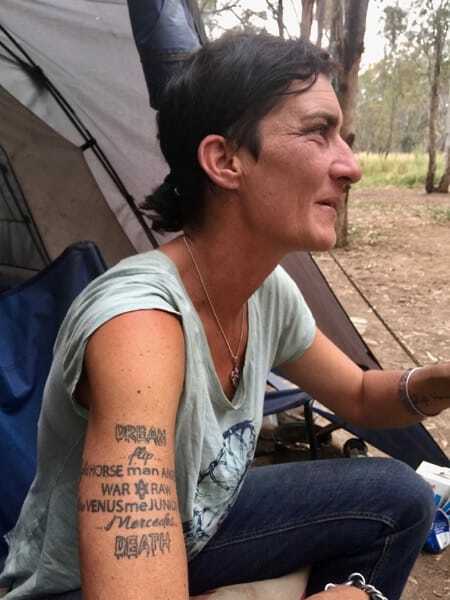 When I first arrived I found it strange seeing females talking to males as it was frowned upon in Afghanistan." "Our favourite time growing up on an orchard was when us kids would gather up the prunings and thatch them together to build cubbies to play in." "It’s important to have a sense of direction in life and in my latter years I would like to reflect something of my faith and day to day to encourage those I meet." 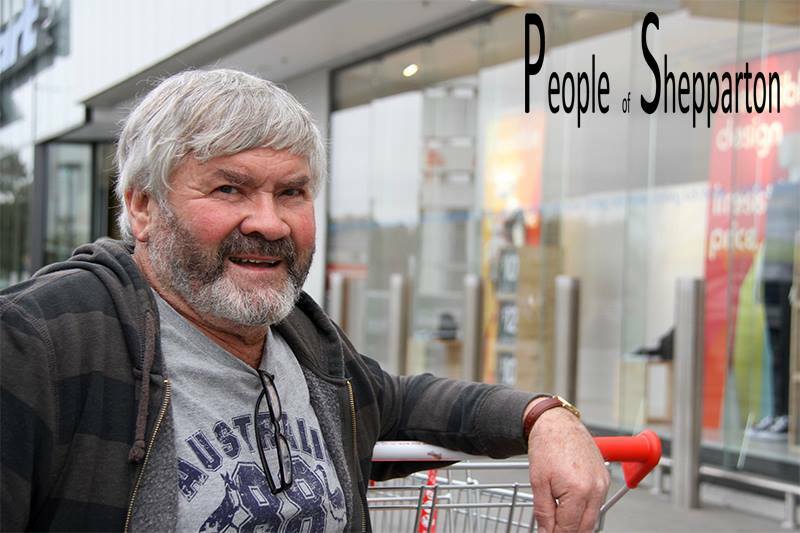 "I started volunteering in one of the Op Shops for a while and then with St Vinnies for a year. 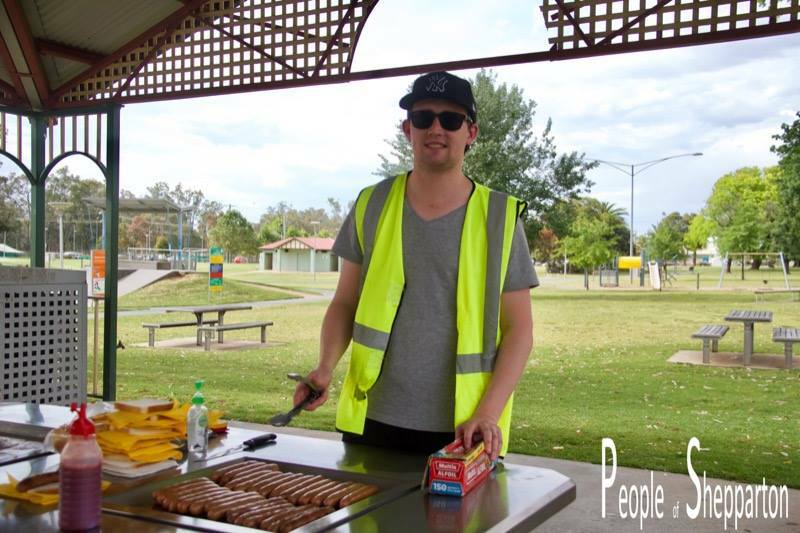 I had a break then started working at the People Supporting People BBQ at the Lake, which operates everyday of the year. 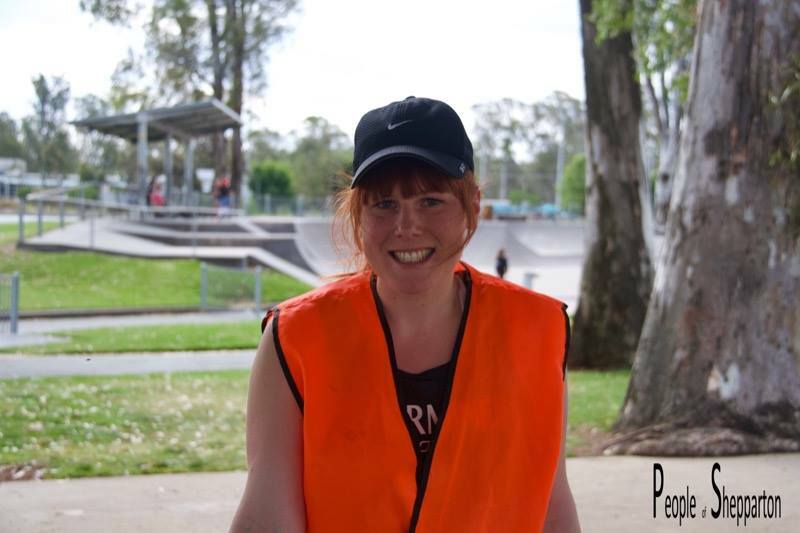 I have been here for 2 years because I enjoy helping people: the skaters, homeless, the needy and backpackers. Everyone’s welcome. We don’t judge them, we help them." "When I was a postman I would deliver letters to a house up one end of Wilmot Rd and a house right up the other end, with nothing in between." 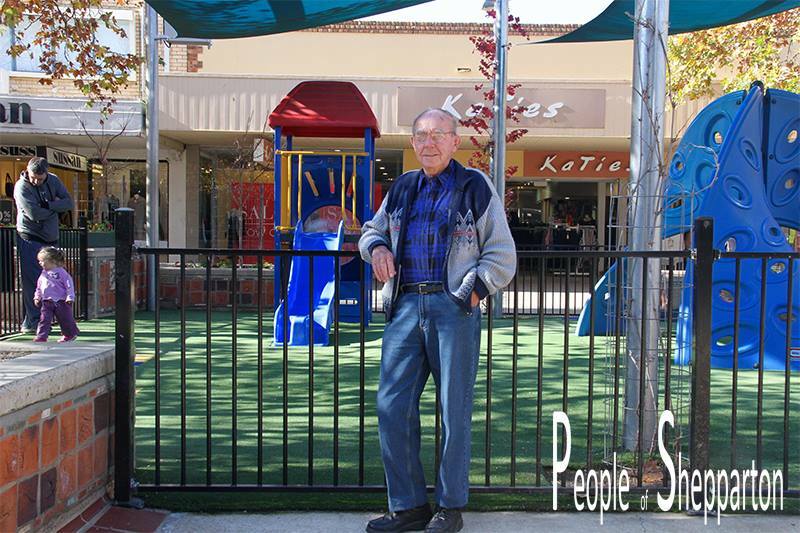 "I liked the old Shepparton pool and the big diving tower. I rode my ‘dragger’ bike off it one day. I also liked doing ‘honeypot’ bombs where you landed on your bum." 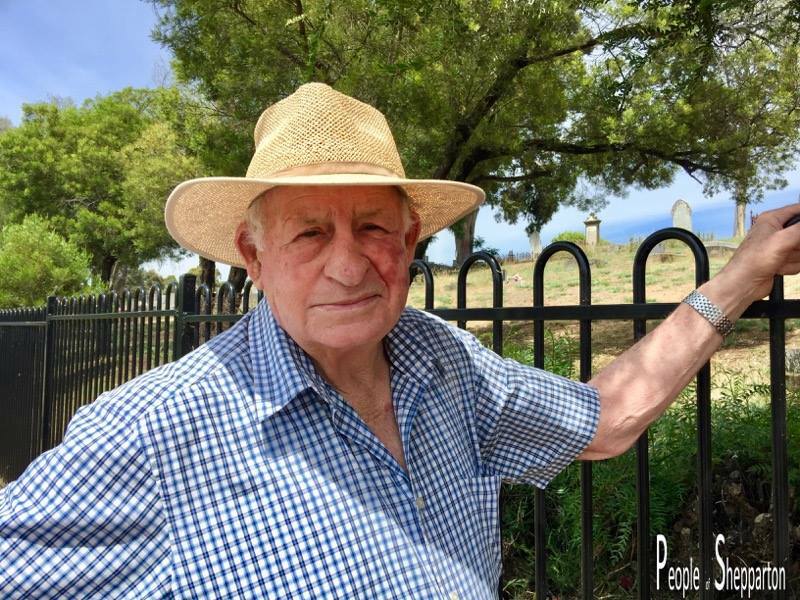 "Country people are a lot nicer than the city people ( I lived in Melbourne). They are more approachable. 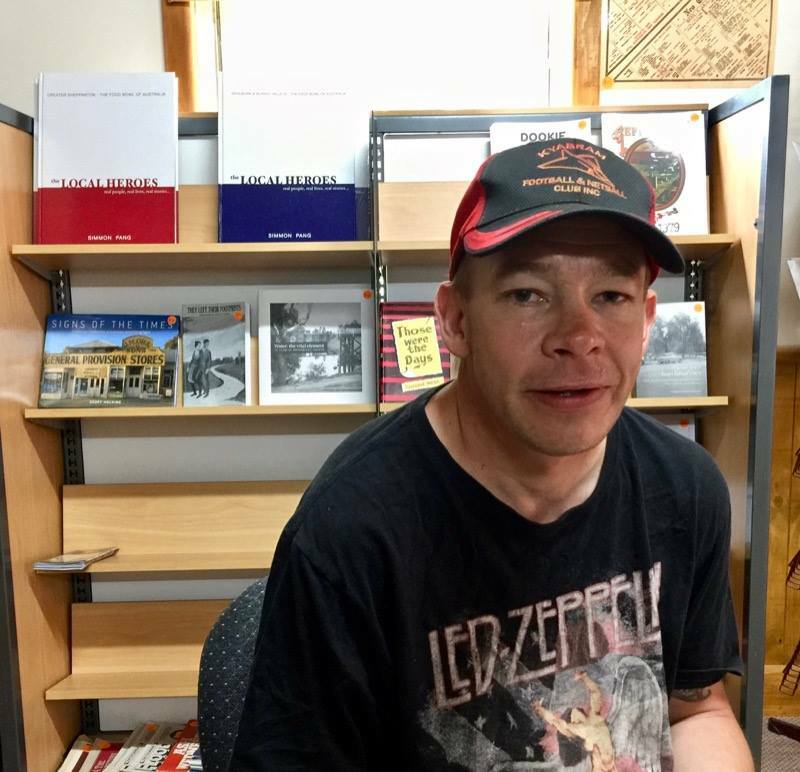 It’s nice to go into your local shops and say hi to everyone and people that you know (Lancaster - Kyabram)."